Since 2010, the Saturday after Thanksgiving, and sandwiched in between Black Friday and Cyber Monday. It is dedicated to supporting small and local businesses across the country. Launched by American Express, the idea behind Small Business Saturday is to helps communities thrive. The day encourages people to support local businesses during one of the busiest shopping times of the year rather than visiting the mall or big box stores. For businesses, neighborhoods, and consumers, Small Business Saturday has been nothing but positive. In 2016, 107 million people went shopping on Small Business Saturday and spent a whopping $16.2 billion. It’s projected that 2017 will be even stronger with $22.9 billion on Small Business Saturday, an increase of 12% over last year. If you want to take part in Small Business Saturday, here is how you can market your business for this shopping event. American Express Shop Small Studio provides business owners with free downloadable marketing materials for their social networks, storefront, and website. For example, there are stickers that you can place on your window to inform customers that you’re participating in Small Business Saturday. These materials can also be personalized. Get customers excited about coming into your store by decorating it for the holidays. For example, create a festive window display. There’s no better driver for businesses than the Internet in today’s society. Prior to Small Business Saturday, make sure your website is up and running and that your inventory is fully stocked. Don’t hesitate to share your store story on your about page or in online publications. This can include how you started your business by guest blogging or answering questions on HARO. Integrating keywords and website tags in your online content. Most importantly, make sure that your business address, contact information, and business hours are accurate. This helps mobile customers locate your store while they’re shopping. Spread the word out early about your business by communicating often with customers and your community via Facebook, Twitter, email newsletters, and on your website. For social media, use hashtags like #ShopSmall or #SmallBiz Sat throughout Small Business Saturday. These tweets, for example, will get displayed on the Small Business Saturday Twitter feed. Also, share a picture on Instagram by suing #shopsmall hashtag. 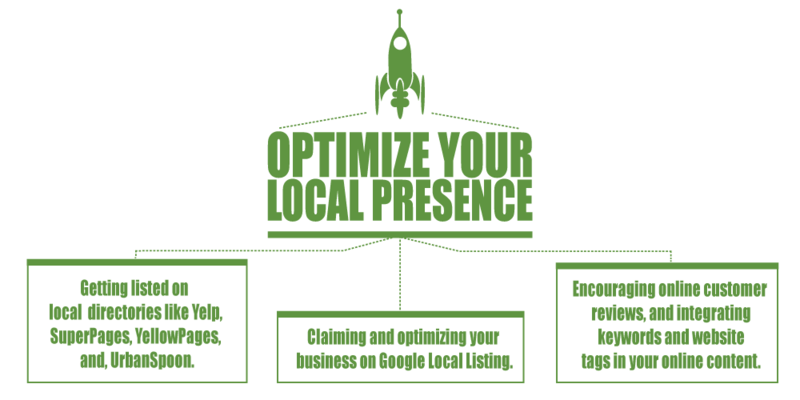 And, make sure that you ask your customers to tag their location while shopping in your store or asking them to share your business to their online network. Besides getting the word out online, make sure that you talk to your customers in-person either when they enter your store or when you’re out and about in the neighborhood, purchase local ads in papers and online, and put up flyers in your community. Katy Kassian, owner of Buffalo Gals Mercantile in Regan, North Dakota, informed the National Federation of Independent Business that her business has difficulty with visibility since her business is located in a rural area. “We are 20 miles to the nearest anything and 45 to ‘town,’” she says. To become more visible, Kassian partnered with other businesses through the Downtowners. “We have developed a habit of always promoting each other during the year. That has built awareness,” she says. Other ways to partner with businesses are by having a sidewalk sale with your neighboring businesses or featuring products from others business (a coffee shop could sell baked goods from a local baker). One unique trick I’ve seen from local wineries is a passport where a booklet is stamped each team you visit a participating winery. You could take that idea and offer a discount for customers who have already supported local businesses that you have partnered with. Around Small Business Saturday who could host events like a kick-off breakfast, collaborating with several other local small businesses, giving your most loyal customers a preview event, or signing up for an event kit from American Express. The kit contains items like welcome mats and shopping bags. Besides collaborating with other local businesses, team-up with local charities and non-profits. For instance, partner with a local food shelter where you donate a portion of your sales from Small Business Saturday to that cause. You could also match donations from your customers to your chosen charity. Your personal touch is what makes your small business stand out from larger competitors. For example, if you own a bookstore, then host a reading. If you are in the food/beverage industry, then have a tasting. If you have a furniture or appliance store, then provide free delivery or installation. Other ways to create a memorable shopping experience for your customers is to offer discounts or gifts for returning customers, free gift wrapping, live entertainment, snacks and beverages, activities for children, a visit from Santa, a raffle, or hosting a contest of giveaway. Most communities have events throughout the year, like holiday fairs and events. For instance, my hometown has an annual Fall Festival on the last Saturday of September where there is a sidewalk sale for local vendors, food and drink samples, and events like apple bobbing. It’s a big deal for this small town and is also a great way to get involved in the community. Either sponsor, host, or participate in these kinds of local events so that local customers don’t forget about your business. And, most importantly, it validates that you and your business are important members of the community. You don’t have to wait until Small Business Saturday to have a sales event. You could have sales and promotions in the days leading up to Small Business Saturday and even sprinkled throughout the year, so that people will still pop-in your store. Also, this gives customers who may be out of town or busy on Small Business Saturday an opportunity to participate. Don’t be afraid to ask for your customer’s contact information like their email and mailing address. With this information, you can send your email subscribers a monthly newsletter, reminders about upcoming events or promotions, and discounts or coupons all year-long. If your customers are comfortable with sharing their mailing address then you could send them holiday cards or handwritten notes thanking them for their business and support. This article was originally published on Due by John Rampton.